Do you have a question? Just call! We will answer on all your questions, so you won't have any doubts. We are here, to cooperate with you. The history of company P.P.H. "Drewnostal" beginns at 1990. At this time the name was "Wtórnix" and it began the business activity specialize in scrap metals and non-iron steel trade in Bodzanowice. "Wtórnix" expand over 5 years very vigorously. The company owner decides to buy a bigger yard for his business activity in Świercze (community Olesno). Soon after change of the headquarter the company name was changed into "Drewnostal" (exactly in 1995). The company still expand in express tempo, employs 15 - 20 workers. The business activity broad up to sale metallurgical products and aluminuim skimmings and also dismantling steel scraps for other companys. Actually, we have in Poland a few branches and steel warehouses. 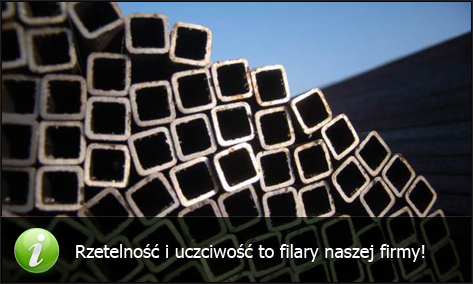 We buy scrapmetals directly from steelworks and from privat customers. 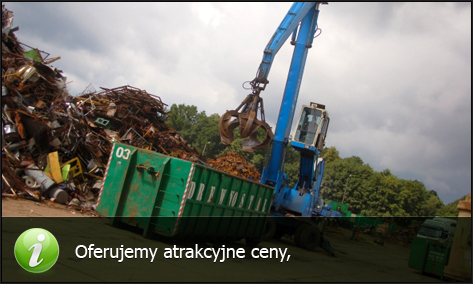 We have also appropriate machines for processing scrapmetal. We're doing our business on the own terrain, with warehouses and factory facilities. We have also good qualified and coursed personell. We possess own specialist means of transport equiped with hds, containers, there make easier loading and the unloading of the goods. Efficient means of transport are the basis our companys activity! In the future we want to broad the chain of our branches that get down to buy scrapmetals and sale metallurgical products.